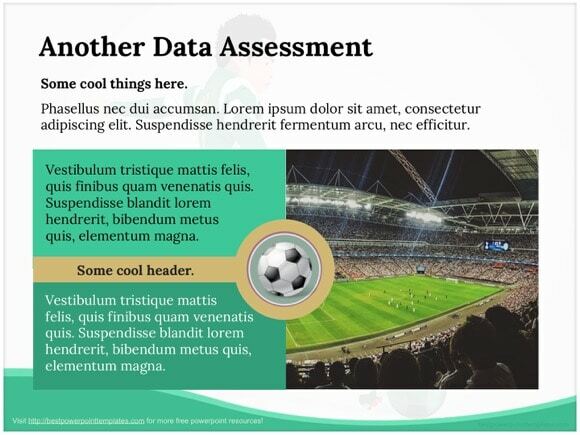 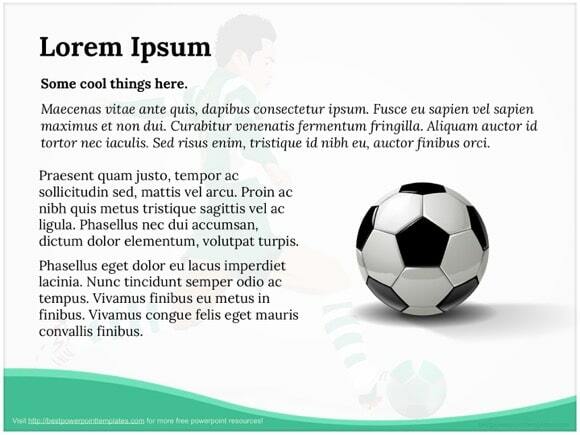 Soccer PowerPoint template - FREE! 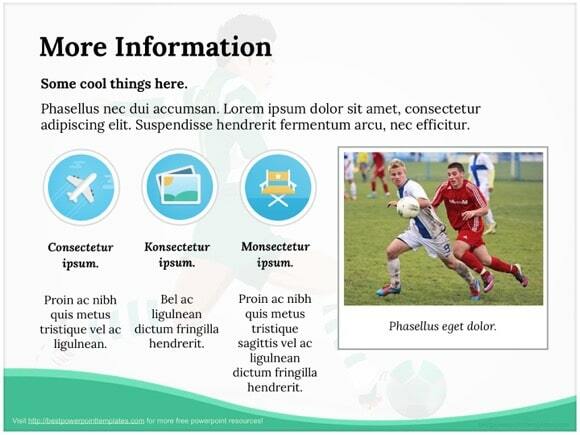 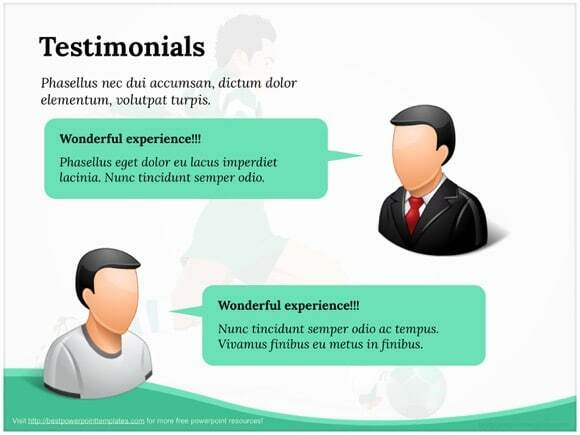 This is another stunning soccer Powerpoint template. 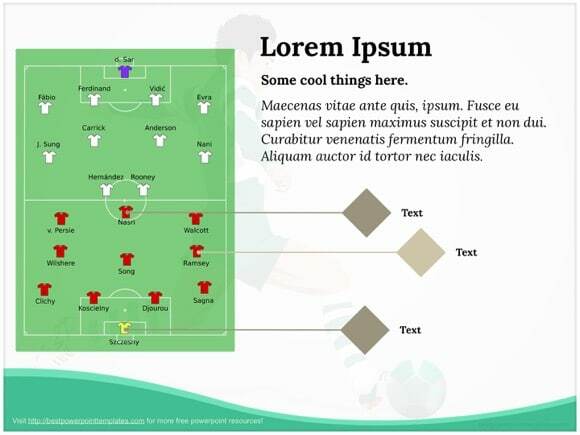 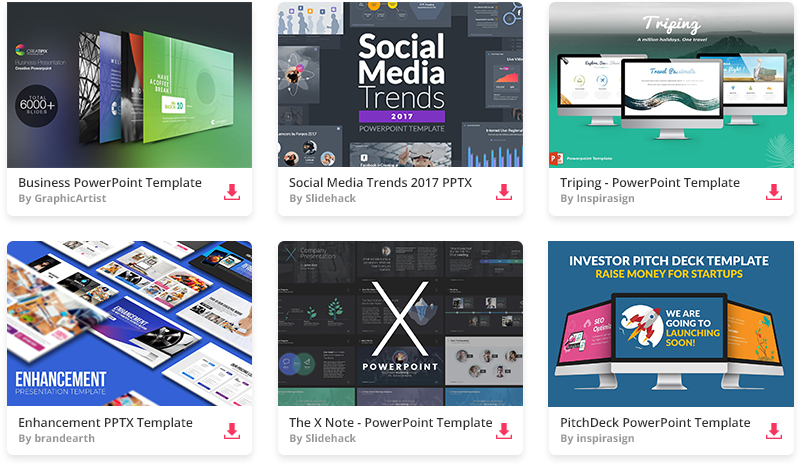 A nice choice for presentations on football or sports PPT presentations. 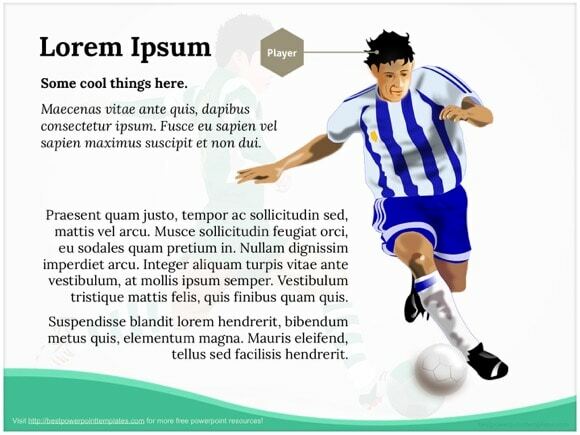 If you are one of million fans and love playing soccer, you will like this template too. 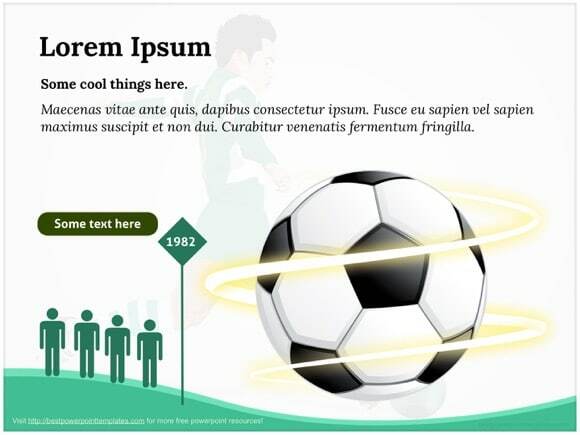 You can see a soccer player dribbling a ball and preparing to shoot it. 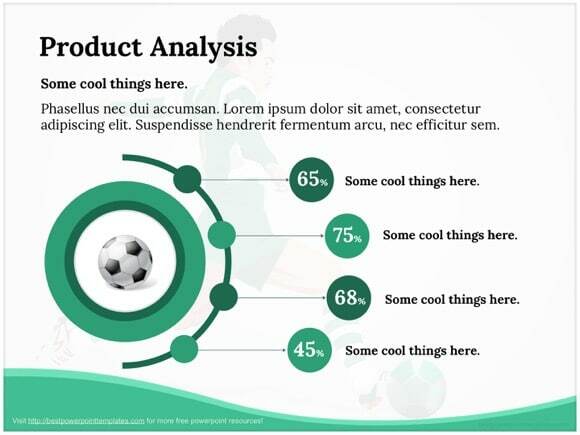 Green color ads the feeling as if being on a football pitch. 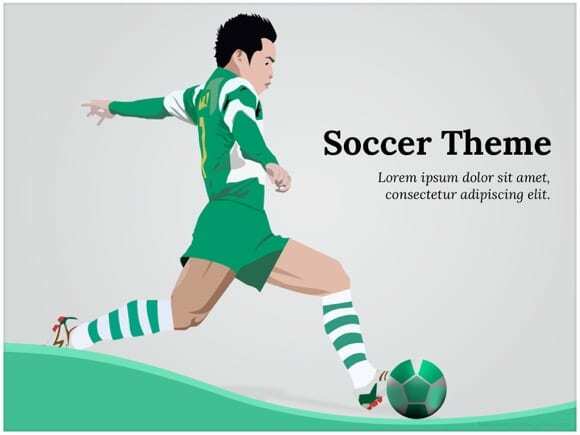 Just click “download now” button and enjoy this free soccer theme. 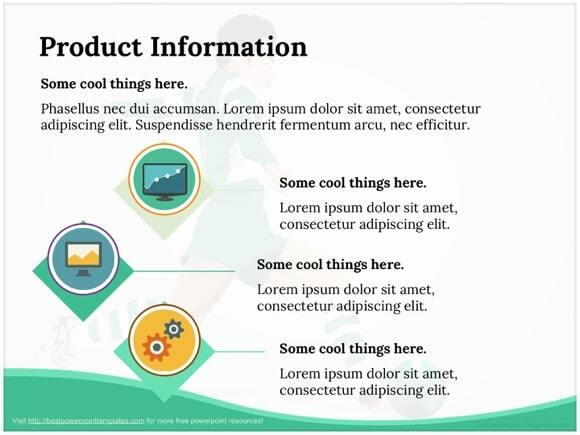 And if you like this theme, please help our site by spreading the word below.